Stapleford Park Hotel is a luxurious country house hotel in the beautiful Melton Mowbray near Leicester, offering a number of facilities such as spar, golf course and 4 star accommodation. Stapleford Park Hotel is a popular destination for weddings and other celebrations in the Leicestershire area and with this in mind the Hotel embarked on building a new Orangery on the grounds to hold such occasions. George Barnsdale manufactured 4 DS5 arched doorsets with a link screen complete with a door for the prestigious Stapleford Park Hotel venue. 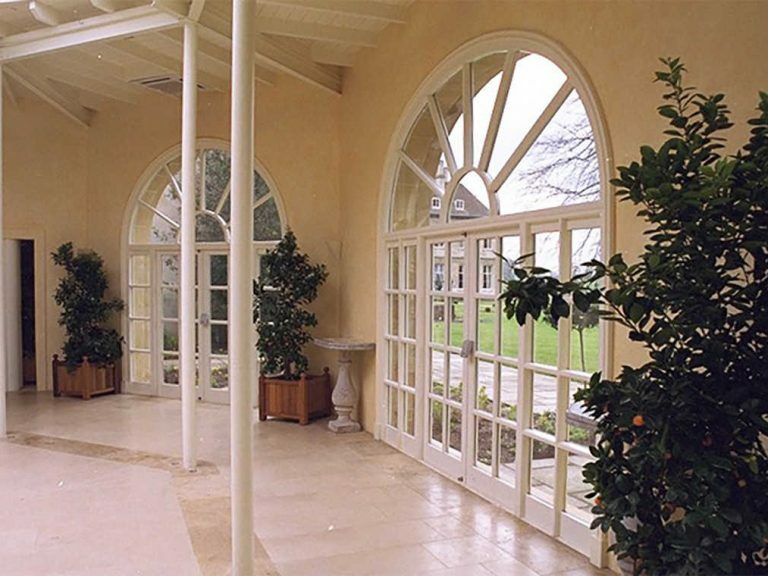 The doorsets were to become part of the newly constructed Orangery at Stapleford Park Hotel which adjoins the Grand Hall. 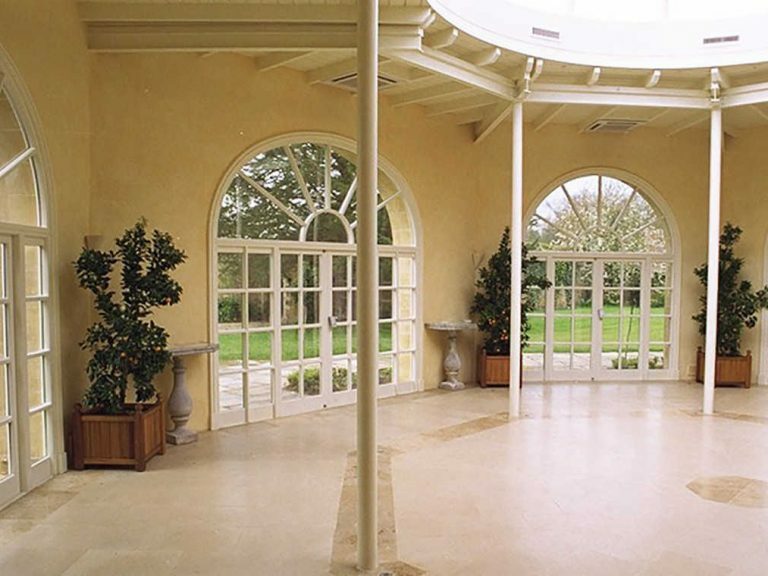 As the Orangery was to be used for celebrations, meetings and events, the doorsets had to comply with fire regulations. Therefore all of the doorsets were designed to be used as fire escapes. 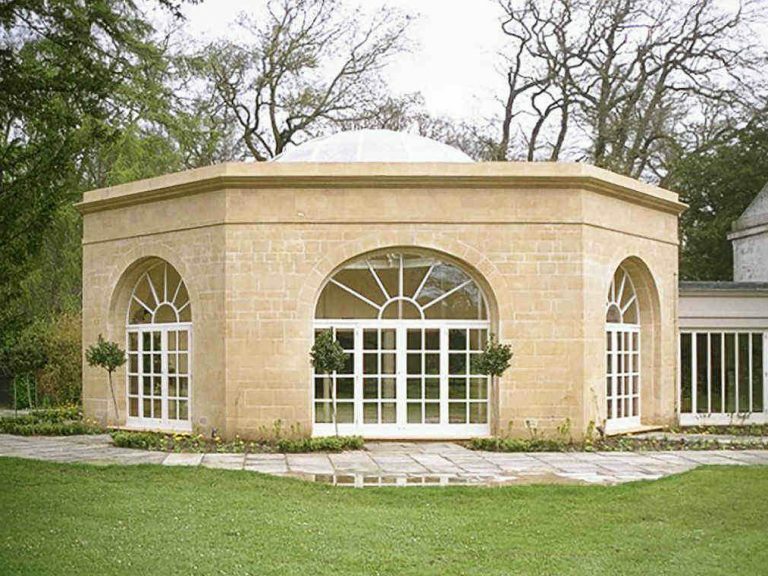 Another important requirement for this project was to ensure that the Orangery blended in with the Grade I listed building. To achieve this, the doorset designs were modified to combine traditional aesthetics with modern performance. As a result of these requirements, the large extension, including the Orangery was remarkably in-keeping with the existing church and building. Finished in a pure white, fitting of any wedding ceremony, the frames look the part for all occasions. The Orangery at Stapleford Park Hotel is now frequented by numerous happy wedding parties and George Barnsdale have hopefully helped get many marriages off to the perfect beginning.